What is the great American novel? It’s a question people have asked for generations… but we may finally have the answer. 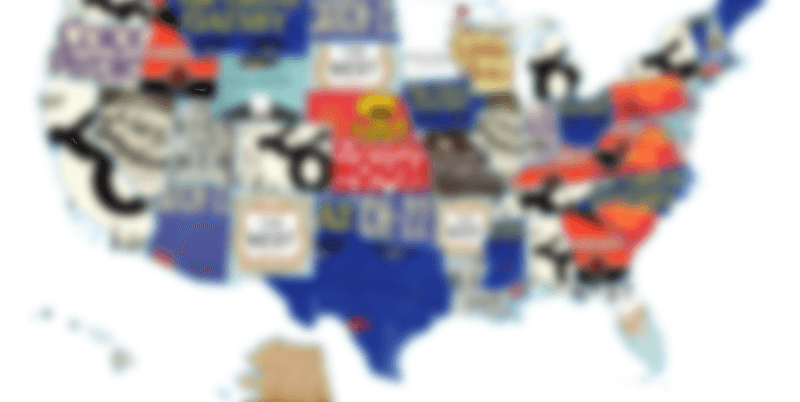 To celebrate World Book Day, we’ve used Google search data to determine which novels are most popular in each state. As there are so many American novels, we used various lists to create a shortlist of the best 20. And the most popular novel of them all is… To Kill a Mockingbird! Harper Lee’s classic topped searches in 10 states, including New York, California, Washington, Illinois, Nevada, Michigan, Delaware, Tennessee and Alabama (Lee’s home state and the novel’s setting). F. Scott Fitzgerald’s The Great Gatsby is in second place, winning hearts and minds in Vermont, Texas, Iowa, Maine, Montana, Ohio, North Carolina and Mississippi. However, it isn’t as popular in Fitzgerald’s home state of Minnesota or the state the novel is set in, New York. Tied for third are John Steinbeck’s Of Mice and Men and Ray Bradbury’s Fahrenheit 451. 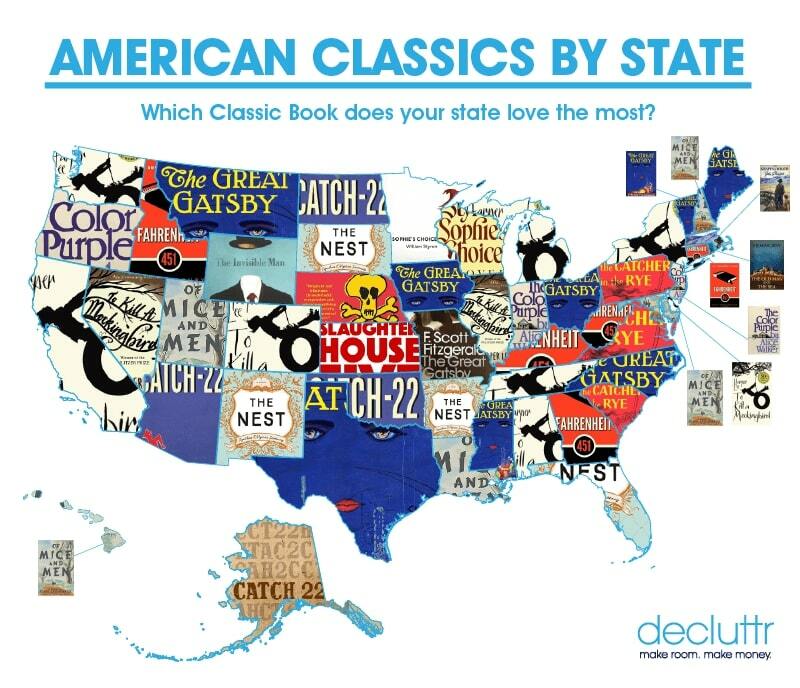 Of Mice and Men is most popular in New Hampshire, Utah, Maryland, Hawaii and Louisiana, while Fahrenheit 451 is most popular in Connecticut, Georgia, Kentucky, Idaho and West Virginia. What’s your favorite American novel? Let us know in the comments! If you’ve got a shelf full of novels you don’t read anymore, why not sell books with Decluttr? Just get an instant price, ship them for FREE and we’ll pay you the day after they arrive! ← Audiobooks, eBooks or Books – which is the best?